This is an organizer I made for 4th, 5th, and 6th grade students to respond to text using the R.A.C.E. strategy. 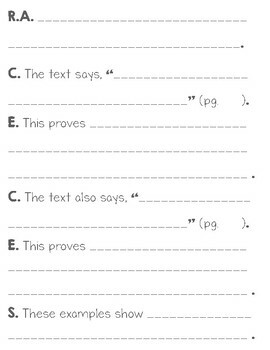 We call this R.A.C.E.C.E.S., since my students are expected to have 2 examples from the text and summarize their answers. This is a great organizer to have to get students used to writing well-written responses to their reading!